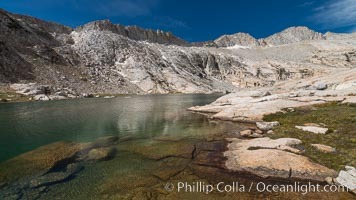 North Peak (12242'), Conness Lake and green glacial meltwater, Hoover Wilderness Hoover Wilderness Photo. 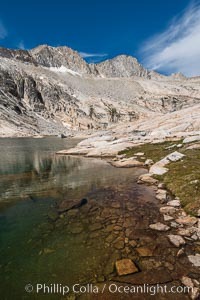 North Peak (12242', center), Mount Conness (left, 12589') and Conness Lake with its green glacial meltwater, Hoover Wilderness Hoover Wilderness Picture. 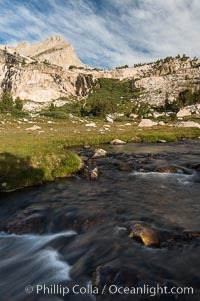 Twenty Lakes Basin near Conness Lakes, Hoover Wilderness Stock Photography of Hoover Wilderness. Mount Conness (12589') and Upper Conness Lake, Twenty Lakes Basin, Hoover Wilderness Photograph of Hoover Wilderness. 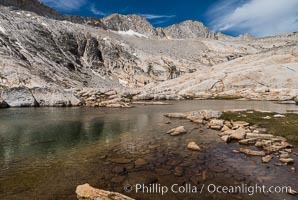 Conness Lake with green glacial meltwaters, Hoover Wilderness Hoover Wilderness Photos. First View of Conness Lakes Basin with Mount Conness (12589' center) and North Peak (12242', right), Hoover Wilderness Hoover Wilderness Image. 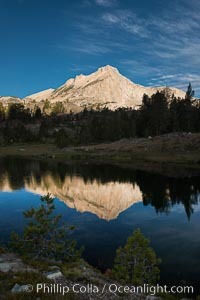 Greenstone Lake and North Peak, Hoover Wilderness, Sunrise Professional stock photos of Hoover Wilderness. Greenstone Lake and North Peak, Hoover Wilderness, Sunrise Pictures of Hoover Wilderness. North Peak (12242') and Conness Lake, Hoover Wilderness Hoover Wilderness Photo. First View of Conness Lakes Basin with Mount Conness (12589' center) and North Peak (12242', right), Hoover Wilderness Hoover Wilderness Picture. 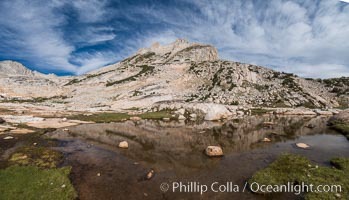 North Peak (12242', center), Mount Conness (left, 12589') and Conness Lake with its green glacial meltwater, Hoover Wilderness Stock Photography of Hoover Wilderness. 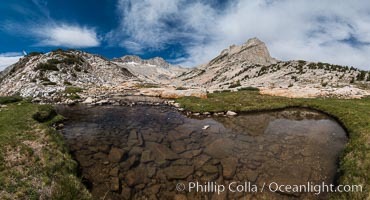 Upper Conness Lake, Panorama, Hoover Wilderness Photograph of Hoover Wilderness. Mount Conness (12589') and Upper Conness Lake, Twenty Lakes Basin, Hoover Wilderness Hoover Wilderness Photos. Mount Conness (12589') and Upper Conness Lake, Twenty Lakes Basin, Hoover Wilderness Hoover Wilderness Image. 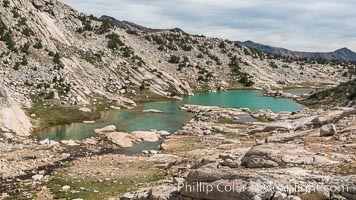 First View of Conness Lakes Basin with Mount Conness (12589' center) and North Peak (12242', right), Hoover Wilderness Professional stock photos of Hoover Wilderness. First View of Conness Lakes Basin with Mount Conness (12589' center) and North Peak (12242', right), Hoover Wilderness Pictures of Hoover Wilderness. 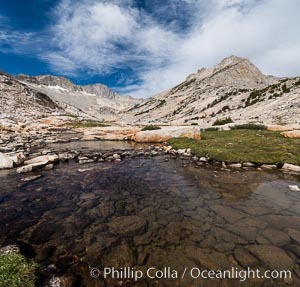 First View of Conness Lakes Basin with Mount Conness (12589' center) and North Peak (12242', right), Hoover Wilderness Hoover Wilderness Photo. 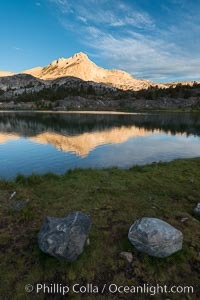 Greenstone Lake and North Peak, Hoover Wilderness, Sunrise Hoover Wilderness Picture. 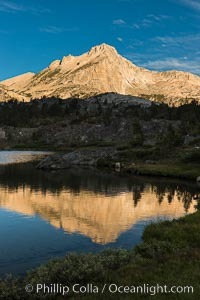 Greenstone Lake and North Peak, Hoover Wilderness, Sunrise Stock Photography of Hoover Wilderness. 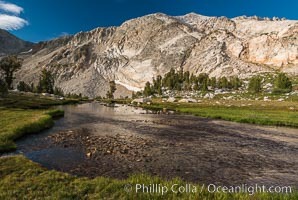 Twenty Lakes Basin near Conness Lakes, Hoover Wilderness Photograph of Hoover Wilderness. 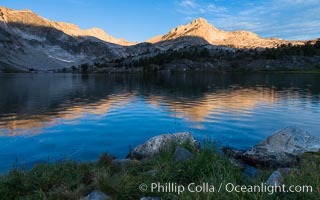 Greenstone Lake Panorama, Hoover Wilderness, Sunrise Hoover Wilderness Photos.